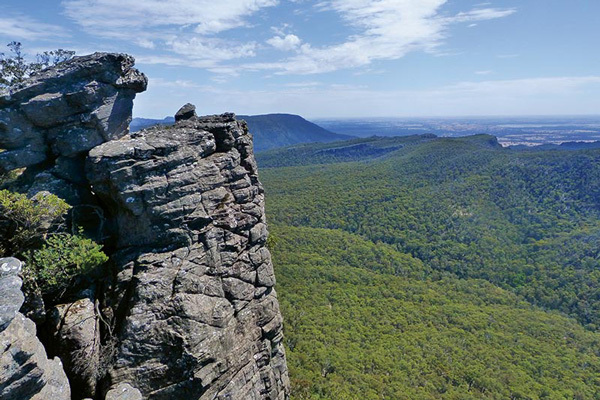 You cannot really appreciate the vastness of the Grampians National Park (NP) until you lay eyes on it. It’s simply immense. 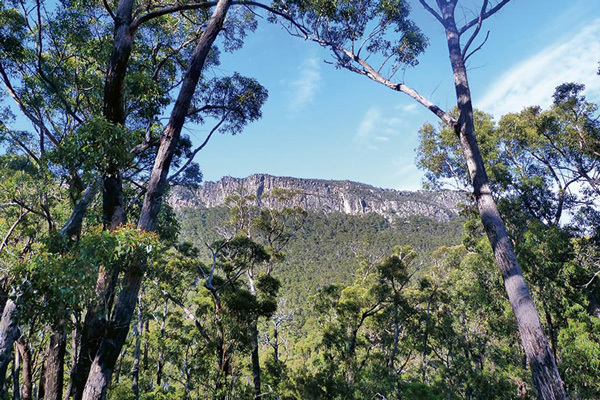 The Grampians (or Gariwerd, as it is known by the local Jardwadjali and Djab Wurrung people) consists of 167,219ha of rugged wilderness, ridges and valleys, making any suggestion of exploring the entire range sound impossible. 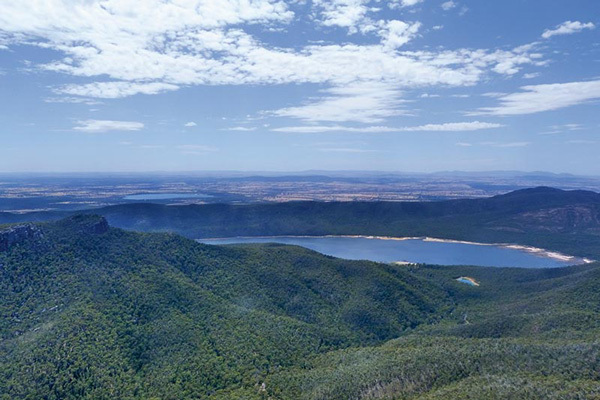 That is, until Parks Victoria set about redefining the way people experience this iconic mountain range by launching the game-changing Grampians Peaks Trail (GPT). 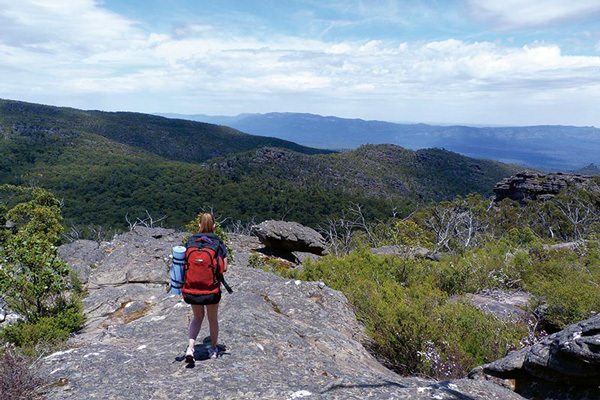 Earmarked as one of the ‘Walk Victoria’s Icons’ long distance trails – which also includes the 37km Falls to Hotham Alpine Crossing and the 100km Great Ocean Walk – the GPT will eventually form a 13 day/12 night adventure set to rival Tasmania’s famous Overland Track as Australia’s premier multi-day walk. The project requires the development of about 80km of new trails and the upgrade of 65km of existing trails. 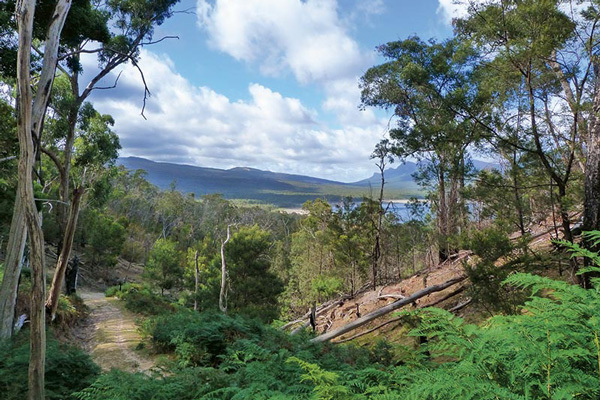 When completed, the 144km trail will span the length of the Grampians – from Mt Zero to Mount Abrupt in the south – to link many of its most dramatic peaks, waterfalls and vistas. My motivation for tackling this GPT tasting platter came about when my friend Moonika, an Estonian, decided she wanted to soak up as many authentic Australian experiences as she could before leaving the country – and what is more quintessentially Aussie than a few days spent bushwalking and camping in a national park? The biggest challenge for us – even more so than the physical challenge the hike presented or the foreign territory of using a camp stove – was figuring out what to pack. In all my previous camping experiences, I’d been accompanied by at least car and, at times, even a caravan, meaning few things were off limits. The difference with the GPT is that you need to carry everything you pack. That means Eskys full of cold beers, comfy camp chairs and any other relics of luxury will need to be left at home. It’s not that these items are prohibited – if you’re willing to carry it, technically, you can take anything – it’s just that the possession of certain items invites ridicule, as I learnt the hard way when Moonika caught me stuffing a pillow into my backpack. “Why on earth would you pack a pillow?” she asked incredulously. “I want to ensure I get a good night’s sleep”, I responded. Her look of contempt was enough to make me very sheepishly remove the pillow from my bag and place it back in the car, alongside a range of apparently ‘unnecessary’ toiletries and a pair of pyjamas that had Mon shaking her head. And good thing I did, too, because, as it turns out, a rolled up jacket works just as well as a pillow, and my bag was more than heavy enough with 6L of water in it. So, finally, packed, ready, and with Moonika assured that I wasn’t going to embarrass her again, we jumped in the car and drove to the GPT’s designated starting point: the tennis courts on School Road, Halls Gap. 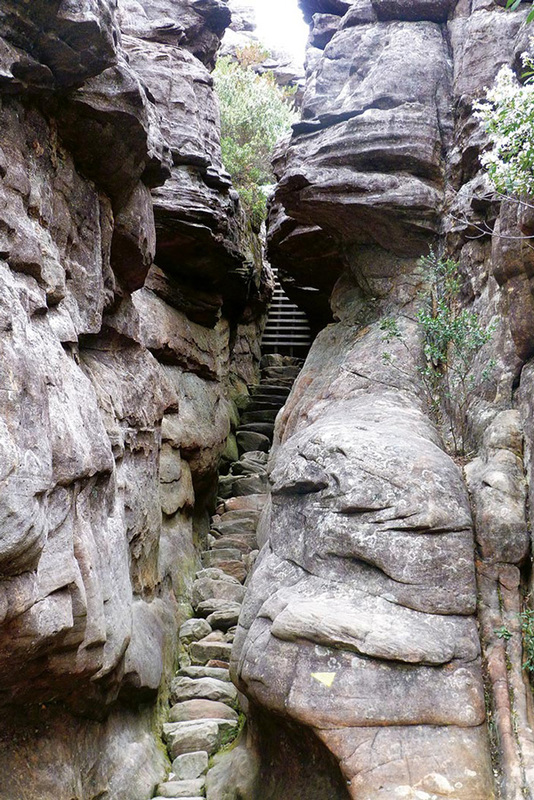 The walk began under a bushland canopy, snaking past the Venus Baths and on towards the popular Pinnacle Lookout. The incline may have been gentle in these early stages, but after only half an hour we were already puffing and panting, throwing each other suspicious sideways glances trying to remember whose idea this was. 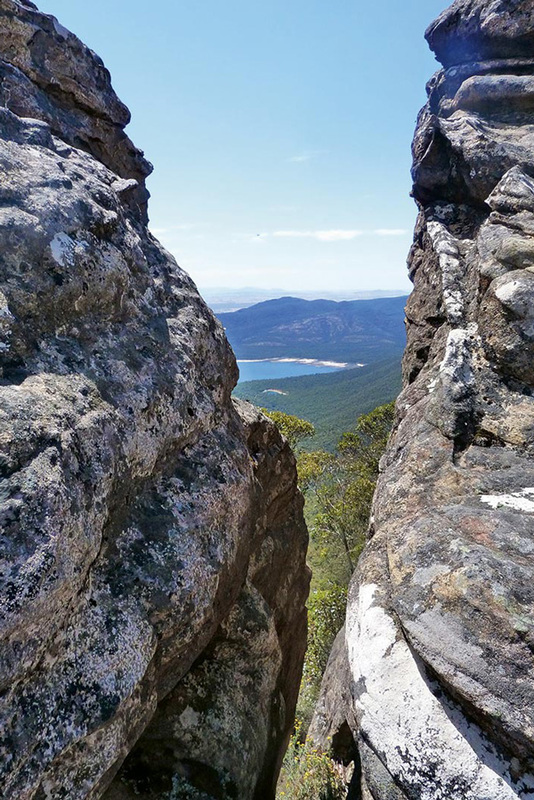 The climb up to the Pinnacle began, for us, near the Wonderland car park, with the roughly 2.3km hike highlighting some truly photogenic terrain and taking us through the incredible rocky corridor known as Silent Street. Ordinarily, hikers also have the opportunity to walk through the Grand Canyon, which boasts some striking ancient rock formations, but, alas, the path was closed for restoration works while we were there and we were forced to take a slight detour. As physically taxing as the walk up to the Pinnacle was, the payoff was more than worth it. 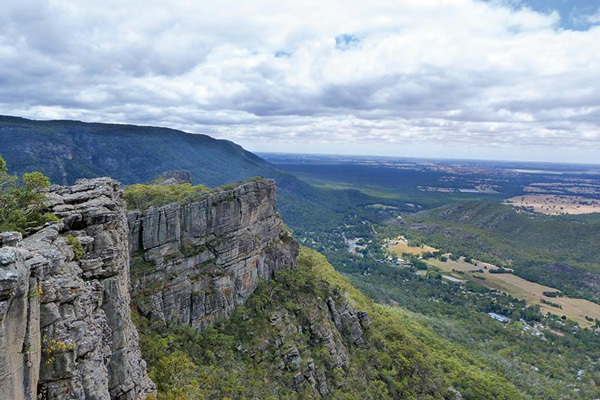 The lookout – which is immensely popular with day-walkers – offers sweeping views over Halls Gap and Lake Bellfield, with farmland stretching off into the distance. Being a Sunday, the area was buzzing with people and selfie sticks, but we were still able to find a quiet spot along the rocky outcrops to enjoy the view while we dug into our picnic lunch. An hour later, we decided it was probably time to get moving again, so we begrudgingly pulled our packs back on and started the walk down the other side of the ridge. This is when we discovered walking downhill can be just as difficult as going up but, with shaking legs, we made it through both rocky and forested terrain to the Sundial car park, and within a half hour we were at Bugiga campsite. Built exclusively for use by GPT hikers, the Bugiga hiker camp is certainly unlike any camping ground I’ve ever seen. The campsite consists of 12 raised camping platforms, each 4m in diameter and equipped to accommodate a 2-3 person hiking tent (though there is a strict maximum of two people allowed at each site). A sturdy wire runs the circumference of each platform for securing ropes, and all sites are unpowered. Each platform is connected by a raised wooden walkway, which also leads to the communal undercover area and two non-flush toilets. The campground is designed to minimise impact on the environment and, while you have to be a bit more wary of splinters than you would at a regular campsite, the views of Mt William can’t be beaten. 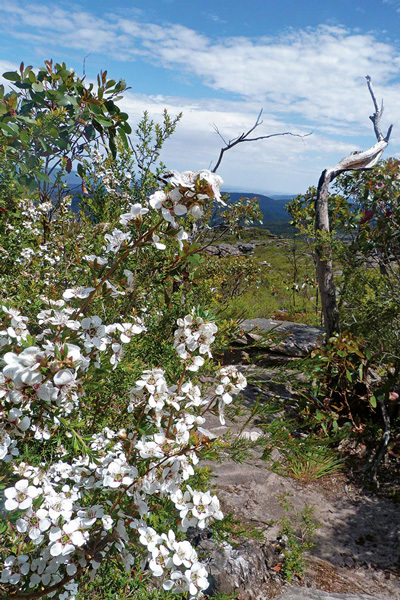 The second day was dominated by the ascent of Mt Rosea. It was on this mountain that we encountered the most exciting obstacles of the journey, with the maze of sandstone outcrops seeing us climbing over and under boulders, and negotiating our way through slim passages that could barely accommodate us, let along our colossal backpacks. On more than one occasion, we found ourselves having to backtrack after evidently taking a wrong turn somewhere, and searching the windswept terraces for the GPT’s strategically placed little yellow markers – our saving grace. Once again, the effort of the climb was worth the reward, with the summit of Mt Rosea offering amazing 360° views over the Serra and Mt William ranges. The walk itself is a showbag of breathtaking sights, and with many of the most amazing vistas emerging behind you, be sure to look over your shoulder once in a while. After a leisurely refuel at the top, we were back on the trail, making our way slowly but surely through rocky outcrops and forested gullies to our second campsite at Borough Huts. Unlike Bugiga, Borough Huts is a general access campground and, in fact, is only a temporary arrangement until the second dedicated hike-in campsite is constructed. There was a bit more activity at this site than our last, with a number of motorhomes pulling in throughout the evening. Towards dusk, one of our neighbours lit a campfire, which Moonika and I gathered around while watching the local kangaroos come out and say hello. So far, so quintessentially Australian. 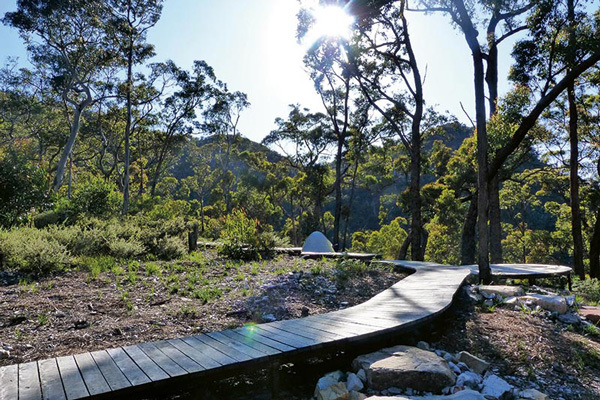 Borough Huts is the official end of this GPT preview walk, but you still need to make your way back to Halls Gap. If it gets to day three, and, like me, it has become apparent you made a very poor choice in regards to footwear, you can actually skip this final leg by organising other transport back to town. However, if you have a hiking buddy like Moonika and can be persuaded to walk through the pain, the trail back does allow a close up of picturesque Lake Bellfield. From here, the track joins an unsealed road, and though the scenery is fairly unchanging from here on out (and the path ridiculously steep at times), if you power through, you can be back in town – and on your way to a shower – in just four hours. Trust me, you’ll be in decent need of one by this point. So that was that. Moonika and I had survived our first Aussie multi-day hike, and were rewarded with some of the best scenery Victoria has to offer. Whether we would have been able to make it through the additional 11 days of the completed GPT remains to be seen, but we’ll be sure to give it our best shot when it gets completed. Sans pillow, of course.